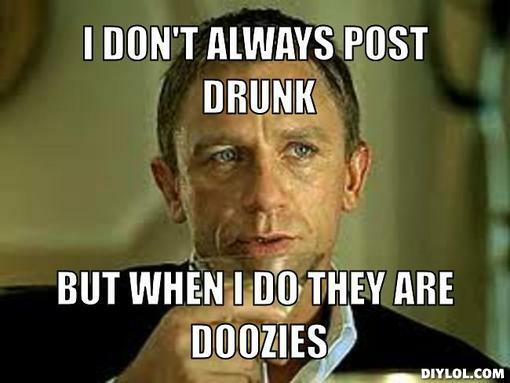 The real issue arises, when the drunk post, make more sense than the sober ones !!!! I kind of agree with drunk MsDos. Claiming a national title seems a little like claiming this was a bowl-game year. Our peer schools would probably be amused by this. I can imagine the quotes on their forums: "That's the only championship Tulane will win is an imaginary one." Who do you consider our peer schools? My guess is, there isn't another school in the AAC other than UCF that's had a football NC, ever. So they're not really in a position to laugh, are they? Maybe Navy has. RobertM320 wrote: Who do you consider our peer schools? My guess is, there isn't another school in the AAC other than UCF that's had a football NC, ever. So they're not really in a position to laugh, are they? Maybe Navy has. They list as having 3 national championships: 1935, 1981, 1982. I think the last two were during the time when they were cheating heavily. If t shirts work we should be doing a PARADE ! After all, N O is world famous for parades grand and small, and we have more than enough musicians in town to raise a cheer for the THE OLIVE AND THE BLUE . nawlinspete wrote: If t shirts work we should be doing a PARADE ! I guess Dannen has officially endorsed our 1998 National Football Championship. I just got an email from Tulane promoting this shirt. Mine is on its way--I can't wait for the discussions that will arise from wearing it. Still think we need a banner at Yulman as well. Until someone gets the 1998 Tenn and Tulane teams together on the field to settle it, I say we're the champions and no one can prove otherwise. RobertM320 wrote: Still think we need a banner at Yulman as well. Until someone gets the 1998 Tenn and Tulane teams together on the field to settle it, I say we're the champions and no one can prove otherwise. Exactly. And if anyone doesn't like it, they can go fix the system. In the meantime we'll continue to have muddy water. I wish we would have taken the approach in 1998 that UCF is taking now. Claim the title, make shirts, have a parade,,they are in the conversation. No doubt. I've seen a lot of people on Twitter who agree with what UCF is doing and on the Tulane 1998 NC shirt thing. They look at it as the more people shining the light on the hypocrisy of the current system, the more likely it is to change. "Playoff-shaming"? Tulane 1998 shirts now on back order. Mine's in but I can't get over there until Wednesday. The 1982 SMU team was the best in the country. A one loss media darling & holier-than-thou Penn State team was ranked ahead of a no loss SMU team to play Georgia in the Suger Bowl. SMU would have curb stomped Georgia. Last time I checked Ron Meyer & Bobby Collins weren't covering for a systemic child buggerer. SMU was getting snubbed because everyone on the planet knew their payroll rivaled an NFL team. As a matter of fact, when Dickerson demanded to get traded from the Rams, the word was he made more at SMU. Well that and UCF was undefeated -and- defeated four opponents ranked in the final AP Poll. If I recall correctly, Tulane defeated none. Of course, we didn't just win our games. We won dominantly. Only twice did we score less than 31, and those were the two games when King was dealing with his injury. After those two, we never scored less than 41 the rest of the season. The Louisville game (one of those two games when King was playing hurt) was the only one that ended up a one score game (28-22), even though our defense gave up lots of points late in games due to large leads. We won two by 10, and two by 14, and the rest were blowouts. Average margin of victory for the year was over 20 points. So maybe we played lesser opponents, but we did what an elite team should do to lesser opponents.